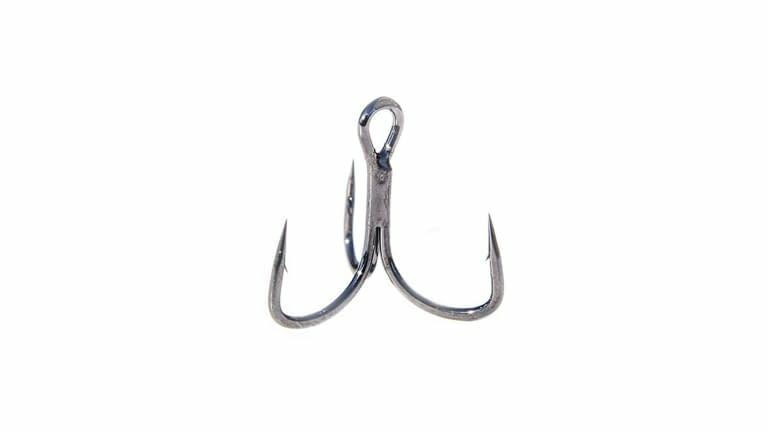 An outstanding choice for replacing the stock hooks on your hardbaits, the Gamakatsu EWG Treble Short Shank 2X Magic Eye Hook is compact, sticky sharp, and incredibly strong. Gamakatsus Magic Eye design makes substituting older hooks for newer ones a breeze. Simply insert the tapered hook-eye into the split ring and slide your new Gamakatsu EWG Treble Short Shank 2X Magic Eye Hook in place of your previous hook, and voila! Youre finished. No split ring pliers, no irritated fingernails, and no frustrating time spent fidgeting with opening the split ring. The Extra Wide Gap extends the hook deeper into the fishs mouth, allowing for a solid penetration and an increased hold. Perfect for fishing thick cover, the short shank keeps the hook close to the body of the bait to decrease snagging and fouling, while the 2X strength permits the force necessary to pull big bass out of the heaviest thicket. Great for any hardbait applications, the Gamakatsu EWG Treble Short Shank 2X Magic Eye Hook is an innovative leap forward.